What are we talking about when we talk about autism? 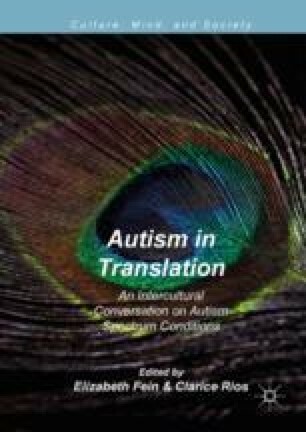 This commentary considers this question and the different ways autism is defined and addressed in Clarice Rios, Enrico Valtellina, and Roy Richard Grinker’s chapters of this volume. It discusses autism as a “concept,” an idea that is conceptualized in a variety of ways and holds a variety of meanings for different people. M. A. Cascio—The work described in this commentary was carried out at the Department of Anthropology, Case Western Reserve University. Sinclair, Jim. 1993. “Don’t Mourn for Us.” Electronic Document, http://www.autreat.com/dont_mourn.html.